Saint-Jacut-de-la-Mer is a charming resort found in the Côtes-d'Armor department in the Brittany region in north-western France. A stay in Saint-Jacut-de-la-Mer means taking in a former fishing village that blossomed with the advent of tourism in the 19th century. Located at the tip of a narrow peninsula jutting out towards the Ebihens archipelago, today Plage du Rougeret is the principal beach. It sits between the bay of Lancieux and the bay of Arguenon. Offering superb views, this is a popular beach to enjoy when you visit Saint-Jacut-de-la-Mer – especially during the summer when there are plenty of activities. When you stay in self catering holiday accommodation in Saint-Jacut-de-la-Mer be assured it is sited on a well protected coastal peninsula between two sea inlets and the clean sandy beach slopes slightly down to the clear tropical looking water. There is a large sailing school based here that caters for sailing dinghies, catamarans, windsurfing and kayaking, and there are organised activities for children during the summer. The beach is monitored during July and August, and the beach is zoned for water sports and swimming. 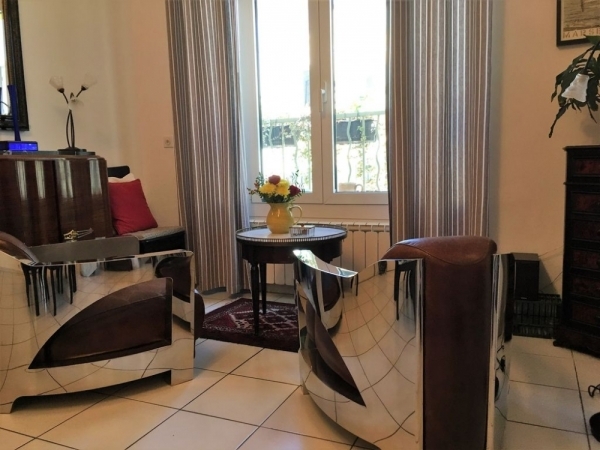 Sights to visit when you rent a holiday home in Saint Jacut de la Mer include: The Cathedral of St. Vincent (12 km), St Malo (13 km), Château de St Malo (13 km), or Grand Aquarium Saint-Malo (14 km). The closest airport to St Jacut De La Mer is Dinard Airport (7 km), which is amply served by Ryan air and Aurigny Air Service – both have timetables which include airports throughout the UK. Other airports include St. Brieuc Airport (49 km), RennesAirport (67 km), or Brest Airport (165 km). St. Brieuc is served by Skybus, Rennes is served by Flybe and Brest by Flybe and Ryanair. Roscoff and St Malo are both conveniently located. Roscoff serves Brittany Ferries from Plymouth and Cork and Irish Ferries from Rosslare. Closer by, St Malo offers Brittany Ferries from Portsmouth and Condor Ferries form Weymouth, Poole, Guernsey and Jersey. The nearest train station is Saint Malo, at roughly 25 km away. Direct trains (TGV) run between Paris Montparnasse and St. Malo with an average travel time of 3 hours.